True confession- I can't think of anything to write so I am going to tell you what I am reading right now! This isn't self absorbed, I am just out of ideas. Aaaaannnndddd- I will also admit if I will actually be finishing the book or not so you don't feel guilty if you never finish books. My "birthy" book of the moment is "Heart and Hands" by Elizabeth Davis. It is really meant as a midwifery text but has some of the BEST information I have ever seen for parents, especially on how to choose and what questions to ask your midwife. I can't believe I never read this earlier. 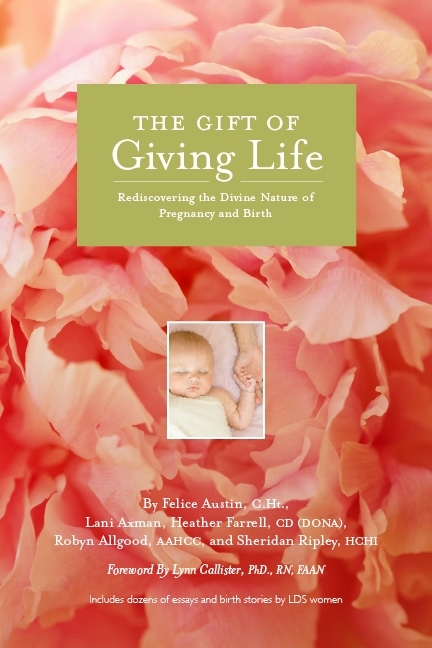 It also has lots of great practical information for anybody- from a mom planning a hospital birth to somebody who works among birthing women. I love this one and will be finishing it! Speaking of training- have I mentioned that I am one of those awful people who gets a dog and then is surprised that they require time and work and all that jazz? Yes, I am. So our dog is so difficult to deal with that he actually hurt my back (the kids had to help me get dressed) yanking on me when I walked him. 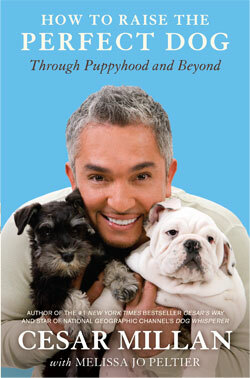 One of my students recommended "The Dog Whisperer" and his book "How To Raise The Perfect Puppy" I now have a secret mom crush on the whisperer, Cesar Milan. I am glad I had a naughty dog so I could meet Cesar. He can tell me what to do anytime. My hubby is in charge of finishing this book because he is the alpha in our pack. But I still watch his show online. Oh yes. 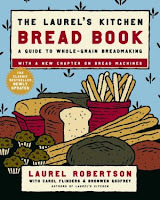 Always on my counter is "Laurel's Kitchen- Bread Book". I have the old version from my mom. Almost every week I make my favorite recipe, the fresh milk bread. It is so yummy and beautiful. The book is written by (I presume) a bunch of vegetarian hippies. Every recipe has a lovely little story to go along with it. They make you feel a little guilty if you use a Kitchenaid to knead your bread (it is much more enjoyable to hand knead your whole wheat loaf for 45 minutes!) but still- I love this book and use it all the time. It is a cookbook with personality. 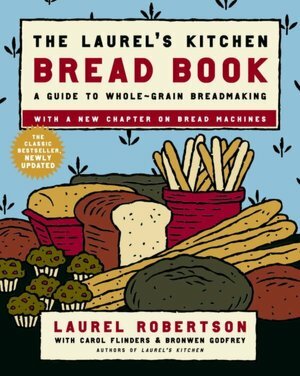 I have never read this all the way through- but it has some great stuff in it if you are just learning to bake or if you are a veteran baker. 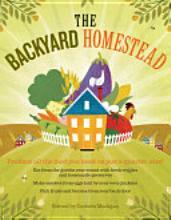 I admit, I have never finished this one ("The Backyard Homestead") either. Still, it is a fun reference book if you want to be a little more sustainable. The premise is living totally off your land, even if you have a 1/4 acre, but also has plans for growing your own stuff if you have a smaller place. It has everything from how to plant and grow every kind of fruit, vegetable and grain to how to can or store your food. Also, how cool is it that they unabashedly talk about raising and killing bunnies? I don't think I could bring myself to do that unless I was a little hungrier, but this is an awesome book with tons of ideas on living off what you grow and how to preserve it. Maybe you are wondering, "but what do you REALLY read??" (Maybe not, because, really, why would you care?!) I am actually a trashy mystery fan all the way and I am almost always reading one of those. My dad is my supplier. 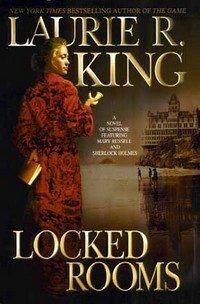 Right now I am reading "Locked Rooms" by Laurie King. This is the first I have read of hers and it is good- will finish. Give me a Sue Grafton, PD James or the Jack Reacher novels by Lee Child any day. That is what I really like. Don't hate me. Had to laugh about killing bunnies. I grew up a midwest farm girl. We raised rabbits for 4H, and yes, we ate them. Tastes like chicken. If you can't think of anything to say about birth, talk about breastfeeding! :-) I love reading what you think about birth and other mama's birth stories but as a nursing mother, I'd love to read more of your thoughts on breastfeeding. I have one child, a daughter who is 7 months old. In her short life, I have had mastitis 15 times. I'm so very passionate about breastfeeding but some days I find it really hard to continue wanting to do this. Reading some tips and tricks from you would really encourage a mother like me. Especially because I pray that I'll have an easier time nursing my next child and I'm scared that it will be just as hard. As I said, I love your blog! Thanks for doing what you do! Heart and Hands is the best birth book maybe, ever!! You should add 'Bloom' to the shelf. By blogger Kelle Hampton. I laughed, I cried, giggled, boo hoo'd some more-it was wonderful.